Well, those armored military cars (or whatever they call them) weigh some massive tons. 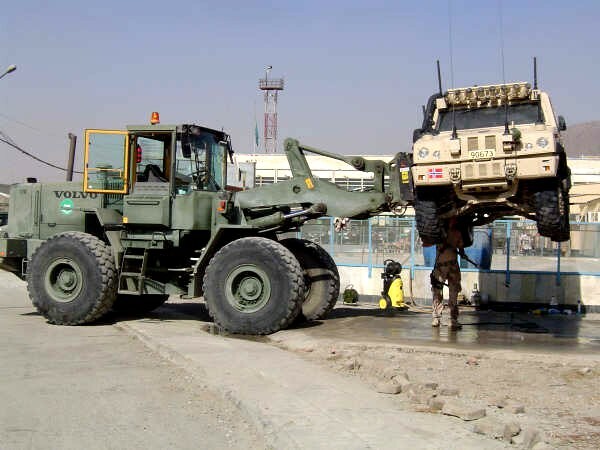 It takes similarly heavy equipment to lift them. Be that even for a carwash.